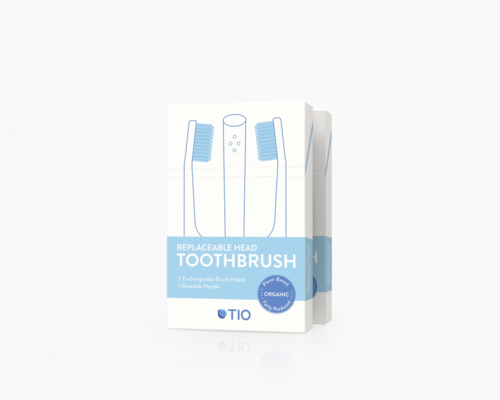 TIO a resource saving toothbrush made from plant based bio polymers. Save the world, twice a day. TIO is made of plants – from bristles to handle – ensuring a significantly reduced carbon footprint. 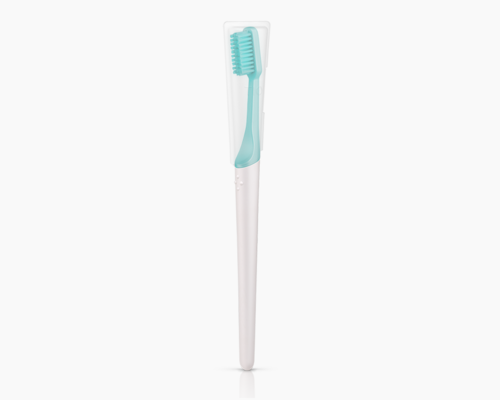 Based on the findings of current clinical studies, our elegant bristle profile facilitates optimal dental care. Vote for a new mindset. Recyclable packaging, reusable handle – conscious design is possible. Help us send a message by using TIO! Our Germany-based manufacturing facilities allow us to ensure fair working conditions and shorter transport routes. 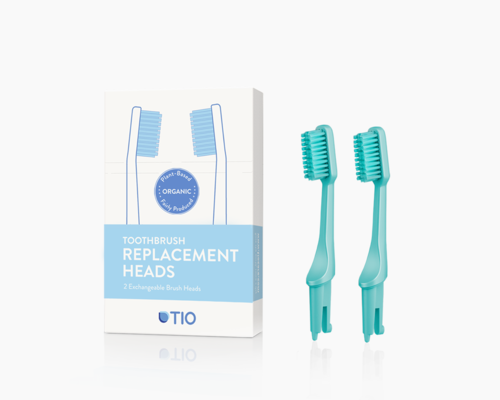 Meet TIO: An elegant toothbrush with clever features. "The TIO is so nice and soft and I just didn’t want to stop brushing my teeth, to be honest!" "Just wanted to say awesome work guys! A big THANK YOU and genuine appreciation to the TIO team for delivering this high quality product." We want your smile to be bright. Using a well designed toothbrush is essential for healthy teeth, but to be honest it’s only half the story. That’s why we’ve taken our research further than just developing a product. Based on the insights we’ve gained through the cooperation with Prof. Zimmer, Dean of the Dentistry at University Witten/Herdecke, we’ve come up with the ultimate cleaning guide. In a fun way it explains all the important things about the wonderful ritual of manually brushing your teeth – wherever you are. You help us to complete the circle! We are convinced that every company should accept environmental responsibility. Therefore our products are designed in a way that they have minimal possible impact on the environment. It’s important for us to do everything we can to keep our world’s ecosystem intact – even beyond TIO’s own capabilities. That’s why we support The Ocean Cleanup with every TIO toothbrush sold on our website. Go good karma!